Recently, the seminar “Reform and Opening up and China’s Economic Research Development” and the symposium on the publishing of 40 Years of Chinese Economics were held by China Social Sciences Press (CSSP). 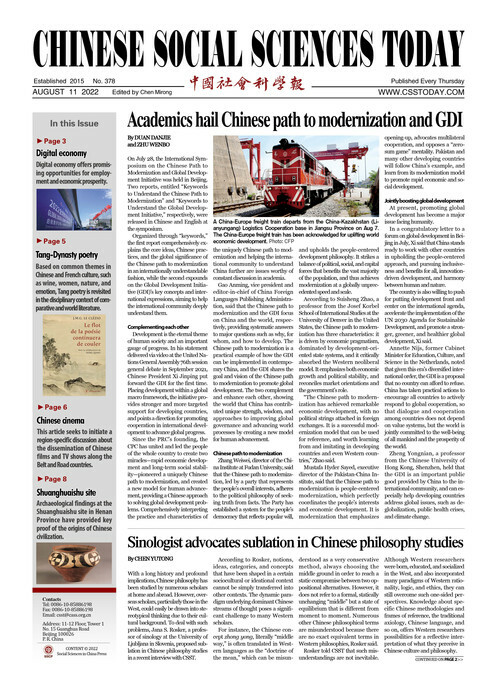 Gao Peiyong, vice president of the Chinese Academy of Social Sciences (CASS), said that in the past 40 years of reform and opening up, the development of China’s economic theory has not been the result of indiscriminate imitation of Western economics, nor the result of the mechanical copying of classical Marxist theory. Instead, it is based on China’s national conditions while drawing extensively on all the useful theories in the world. In other words, it is the theoretical results of the localization of Marxism in China. Zhang Zhuoyuan, a CASS member and a research fellow at the Institute of Economics under CASS, said that Chinese economics covers a wide range. The political economy of socialism with Chinese characteristics is the basic theory of Chinese economics. The practice of China’s economic reform and development has accumulated rich experience and spawned many branches in Chinese economics. Yan Kun, secretary of the Party Committee of the National Academy of Economic Strategy at CASS, said that with reform and opening up entering into the new era of socialism with Chinese characteristics, we should analyze and summarize the laws of the fiscal and taxation system reform in the past 40 years. On this basis, new theoretical innovations can be created to promote a sounder fiscal and taxation system. Zhang Xiaojing, deputy director of CASS’s Institute of Economics, said that we can summarize the development of Chinese economics from three perspectives. The first perspective comes from the interaction between practice and theory. Only with the correct analysis of China’s 40 years of experience with reform and opening up can we further refine practice into Chinese economic theory. The second perspective is historical. The development of Chinese economics should be observed from the history of economics and the history of China’s economic thought. The third perspective is international. The development of China’s economics should be viewed from the field of international economics, especially Western economics. Zhao Jianying, director of CSSP, said that 40 Years of Chinese Economics systematically reviews the study of China’s economic theory and sorts out the theoretical breakthroughs and important innovations during the 40 years of reform and opening up. Prospects for the development of China’s economics are also given in this book.